Gold medallist at the Oceania Championships in 2013 in Canberra and earlier this year in Suva; Australia’s Nathan Pellissier emerged the player to cause the biggest surprise on the second day of action, Monday 17th July, at the 4th Taiching Open for the Disabled. Not listed amongst the top four names, very much an outsider, he won the Men’s Singles Class 8 title in an event where he was almost eliminated in the initial group stage. On day one, he experienced defeat at the hands of Japan’s Arufuahirokazu Tateishi, the no.2 seed, and only secured second place in the group on games ratio; he was one game away from bidding farewell. Defeat at Japanese hands, one day later it was quite the reverse; he beat Hiromi Sato (11-6, 11-6, 9-11, 11-9) before securing the title at the final expense of Yoshihisa Takeda (11-2, 11-5, 11-7). Notably in the counterpart semi-final, Yoshihisa Takeda had beaten colleague, Hideo Tamai, the top seed (7-11, 13-11, 11-5, 11-9). Success for Nathan Pellissier; his first such win in an open international Para tournament, it was the same for South Africa’s Theo Cogill, Japan’s Koya Kato and Germany’s Julianne Wolf. The win in Men’s Singles Class 11 for Koya Kato, did not quite match the performance of Nathan Pellissier but it was somewhat of a surprise; the no.2 seed, at the final hurdle he accounted for top seeded colleague, Takeshi Takemori (11-8, 11-7, 6-11, 11-3) to claim the title. Conversely for Julianne Wolf in Women’s Singles Class 7-8 and for Theo Cogill in Men’s Singles Class 9-10, it was as anticipated; both commenced play as the top seeds. Success for Julianne Wolf as predicted; it was the same for her male colleagues, Thomas Schmidberger and Jochen Wollmert. Thomas Schmidberger won Class 3; Jochen Wollmert secured the Class 6-7 title. Wins as seeding expected, in the Men’s Singles events, it was the same for the Thailand’s Wanchai Chaiwut in Class 4, as it was for the host nation’s Cheng Ming-Chih in Class 5. 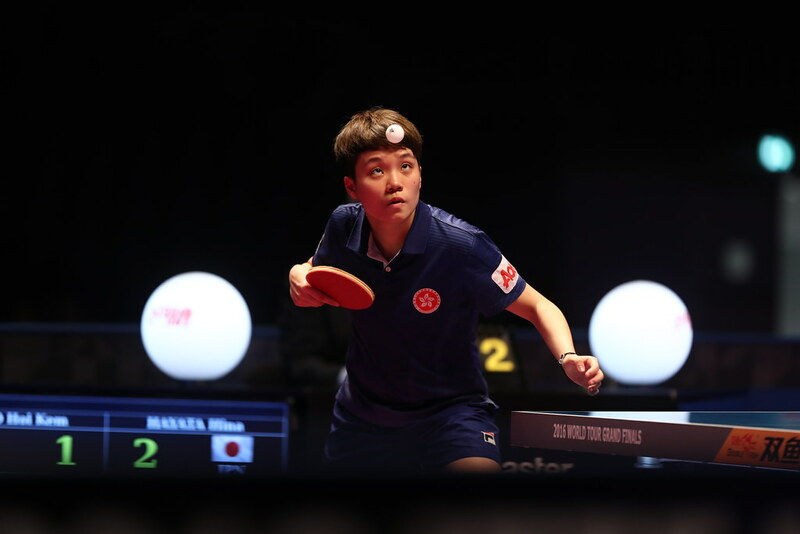 Likewise in the Women’s Singles events, Korea’s Kang Oejeong secured the Class 3-5 title; whilst Tian Shiau-Wen added to Chinese Taipei success by winning Class 9-10). Outcomes according to form but there was one upset as the Women’s Singles events concluded; Hong Kong’s Ng Mui Wui won Class 11, very much at the expense of Japan. At the semi-final stage she overcame Sayuri Mio, the top seed (11-9, 11-7, 5-11, 11-5) before beating Ayumi Kawakasi (11-3, 11-4, 11-3) to arrest the title. The individual events concluded; attention now turns to the team competitions; play concludes on Wednesday 19th July.